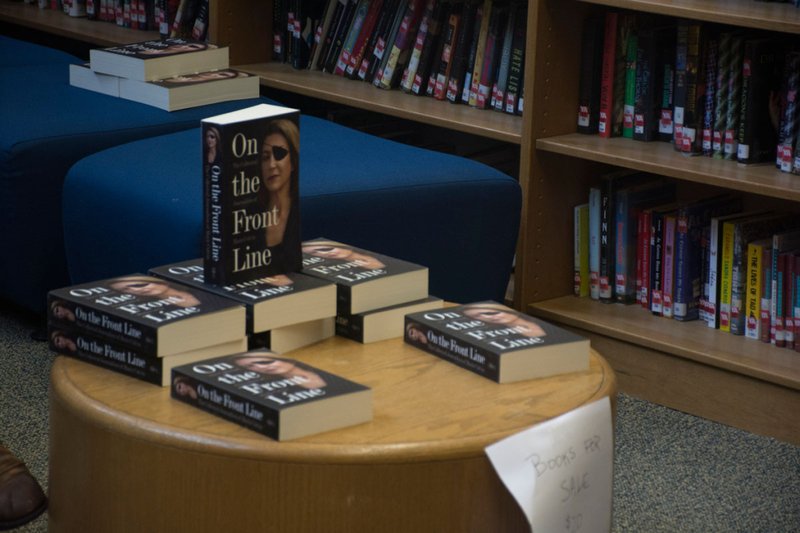 This Saturday Oyster Bay High School dedicated its library to foreign correspondent and Long Island native Marie Colvin, who was killed in February 2012 while reporting on the Syrian civil war. Colvin was known as a courageous journalist who covered conflict zones from Chechnya to Sri Lanka to the Middle East, always with the goal of giving a voice to the voiceless, innocent people who are swept up in the chaos of war. For the last 29 years of her life, she worked for the The Sunday Times of London, where she earned numerous awards, including being named the Foreign Press Association’s Journalist of the Year in 2000. Both her mother, Rosemarie, and sister, Cathleen, were present at the dedication. Colvin Graduated from Oyster Bay High School in 1973. The class reunion committee sponsored Saturday’s dedication. 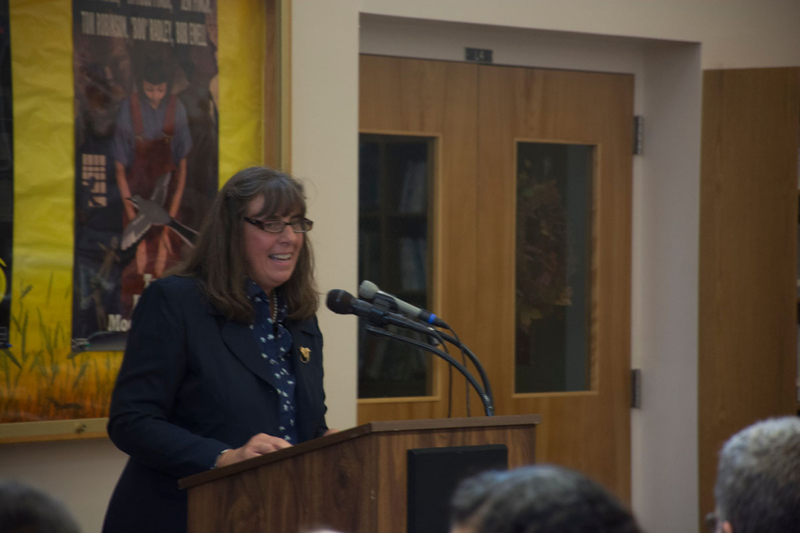 Committee Chair Donna Houman said Colvin’s life’s work reflected her generation’s political engagement during their years in high school, in the midst of the Vietnam War. At that time, the high school hung portraits of former students who were killed in the conflict. According to Houman, the portraits forced students to think about the war and their own place in the world. This, in turn, became the motivation to install a portrait of Colvin at the school, and ultimately to name the library after her. 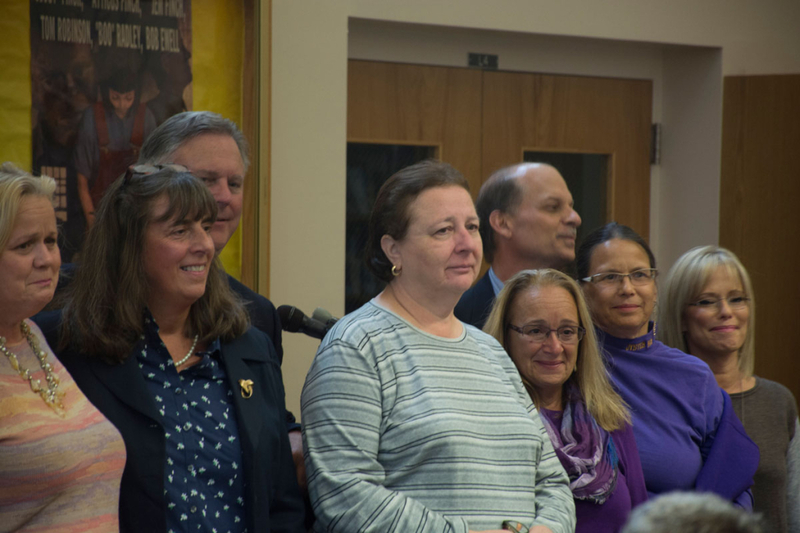 “Young people coming to the school should see a portrait of Marie and have the same curiosity of wonder– ‘who is this person, why are we honoring her, and what was her life’s work’” Houman said. 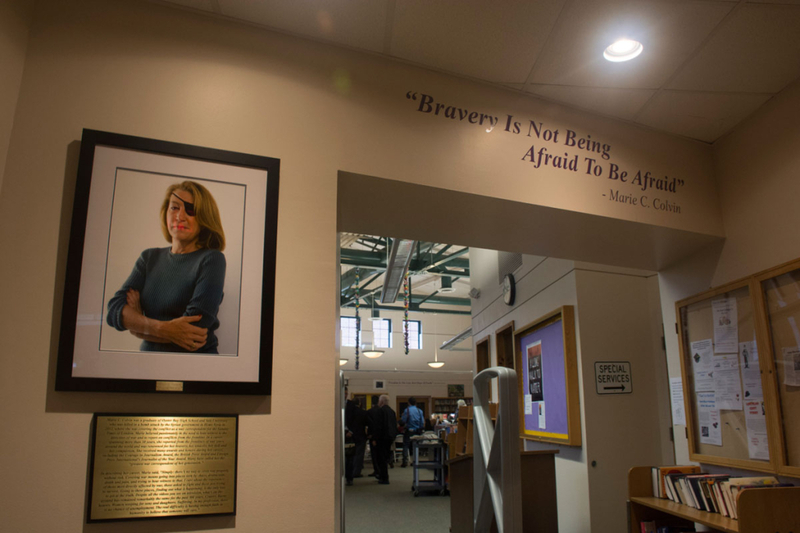 For Colvin’s mother, Rosemarie, the library is fitting place to honor her daughter. In the second grade, Colvin said her daughter outgrew her elementary school library’s selection of books, which led the school’s librarian to get more from the high school– just so that she could keep reading. That passion for books endured throughout her life. When packing up her home in London, Colvin’s sister discovered lasting proof of this. She came upon a straight-backed chair, complete with a green sweater draped over it—the place where Colvin would spend late nights reading. 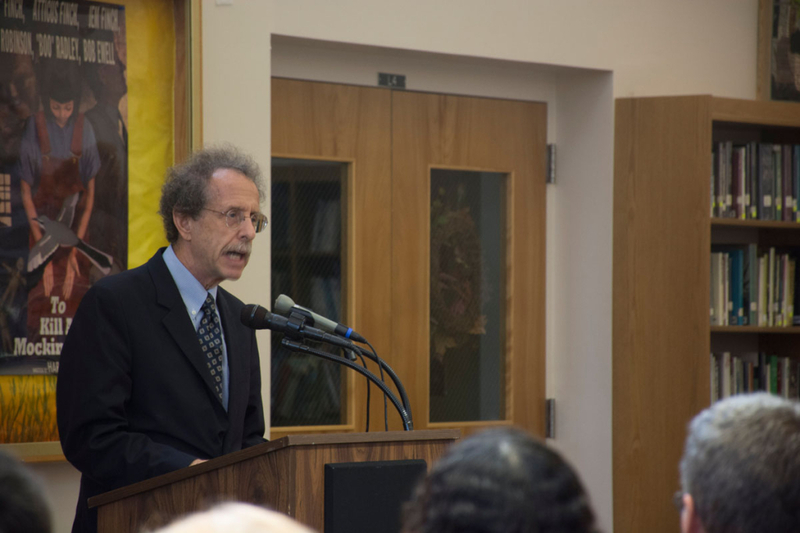 The dedication ceremony also featured remarks from Howard Schneider, the dean of Stony Brook University’s School of Journalism. Colvin’s life and work inspired Schneider and the School of Journalism to launch the Marie Colvin Center for International Reporting soon after her death. 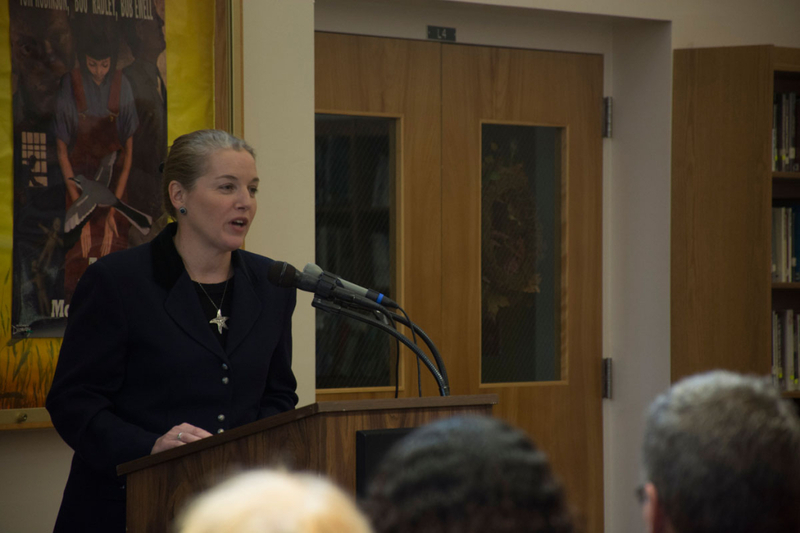 The Center honors her work by providing scholarships for journalism students to study abroad as well as hosting a lecture series in her name featuring distinguished foreign correspondents, and inviting prominent foreign correspondents to teach at the school. With the generous support of the Colvin family, the Center has already raised more than $500,000. Schneider also emphasized how important it is today to have journalists like Colvin on the front lines, reporting the news. “You need to be there to bear witness,” said Schneider said.